SILAGE & HAY MAKING SEASON - IS YOUR GRASS MACHINERY & EQUIPMENT READY ? Agrigear Tyre and Wheel Specialists can cater for all your tyre and wheel requirements to get your grass equipment ready for the forthcoming season. 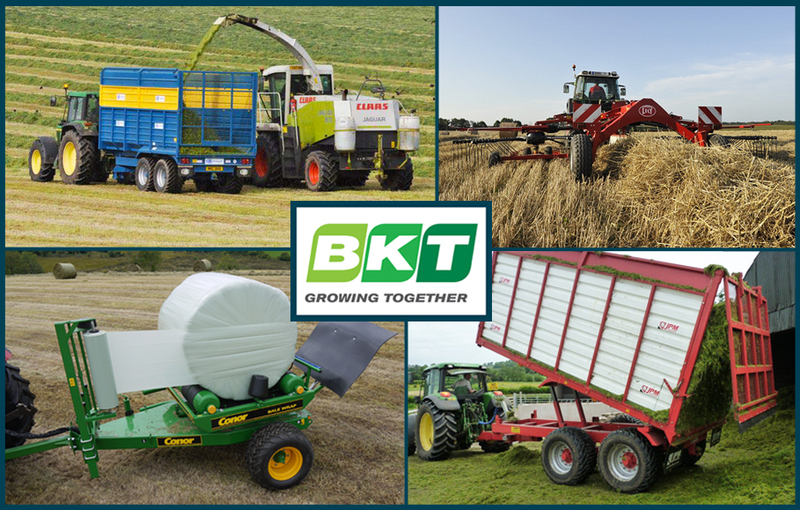 As the Irish distributor for BKT Tyres, Agrigear stocks an extensive range of grass tyres for mowers, harvesters, rakes, trailers, wagons, loaders, haybobs, balers and wrappers. 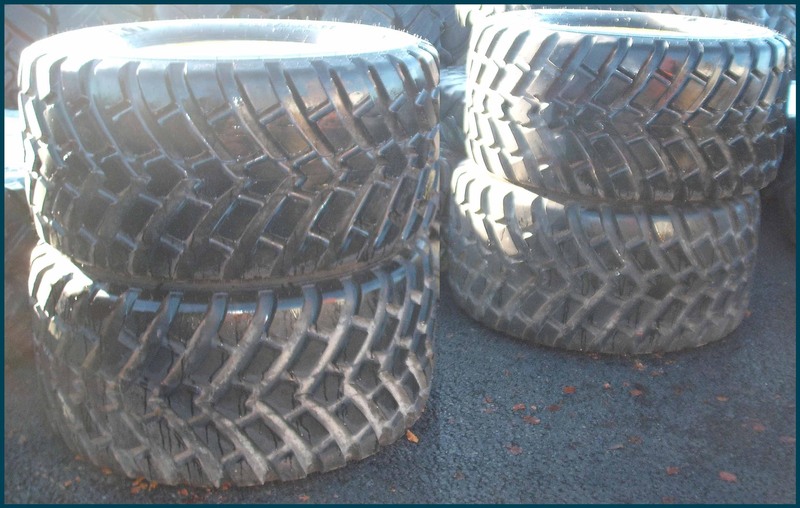 Tyre grip options available include tractor-grip tyres, ribbed tyres, flotation tyres, smooth tyres and block-pattern tyres, with sizes ranging from 5” to 32” in rim diameter. 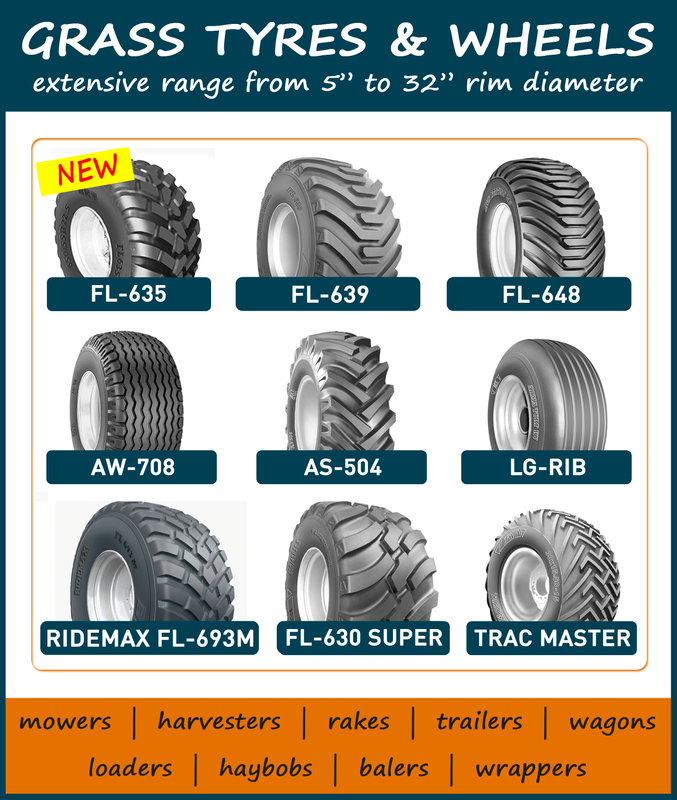 Agrigear also offers an extensive portfolio of BKT Agrimax radial tractor tyres now available in sizes from 16” to 54” rim diameter. These Agrimax tyres have fast become a favourite among Irish farmers and contractors. Browse BKT tyres here on Agrigear's website www.agrigear.ie. Ideal for use on 2wheel-drive tractors, there are a number of options available in BKT's range of crossply tractor front tyres. 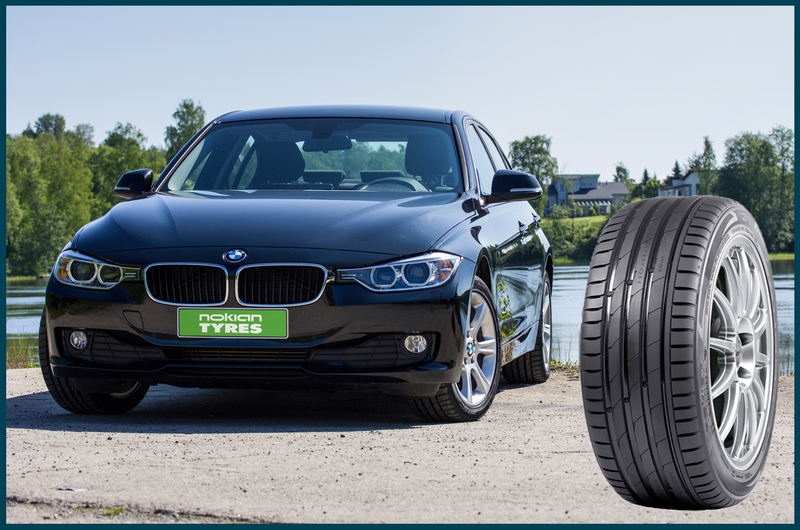 TF-9090: this is a 3-rib tyre designed for easy steering. Its strong nylon casing ensures good performance on tractors fitted with front loaders. This tyre is also suitable for use on certain agricultural machines. TF-8181: this tyre is ideal for use on tractors being used for field operations as well as for transport work. Its sturdy shoulder bars offer excellent sidewall protection. 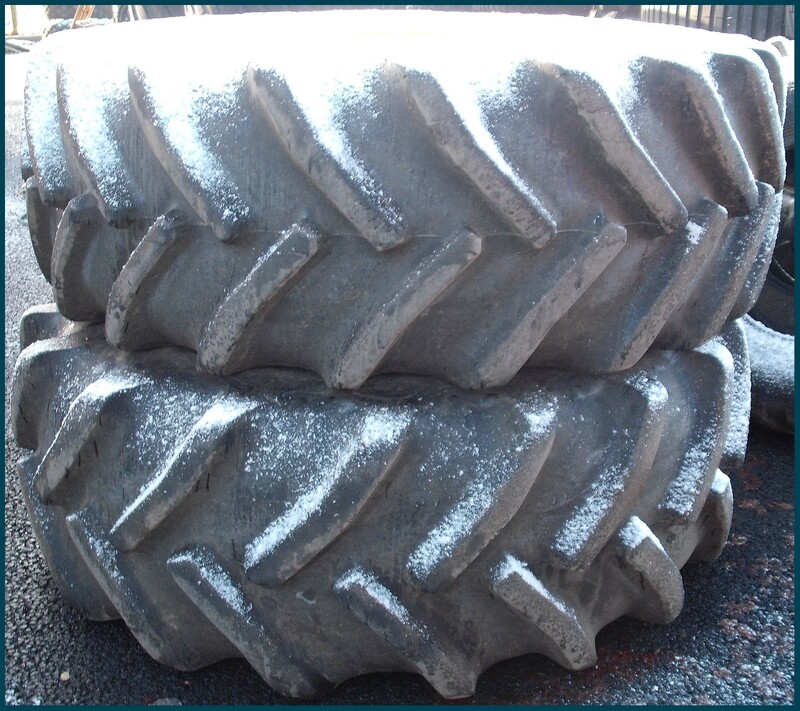 STEER FARM: this is a 3-rib pattern tyre with notches on the shoulder for excellent grip on rough terrain. It has high load carrying capacity and its higher tread depth promotes longer life. Agrigear is the Irish importer and distributor of BKT tyres which are available countrywide through a select network of agents. 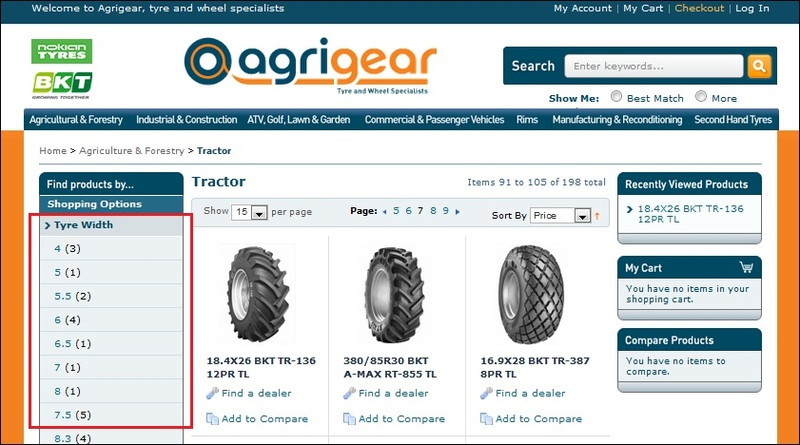 Browse BKT tractor tyres here www.agrigear.ie on Agrigear's website. For more information or to find your nearest stockist, call Agrigear on (042) 9666444. Don’t let the varying weather conditions surprise you, even in summer. Durable Nokian summer tyres offer premium performance under demanding conditions. Nokian's comprehensive product range continues to achieve success in motoring magazine tests year after year. Rely on Nokian's test-winning products and enjoy safe driving regardless of the weather. Just choose a tyre that suits your specific requirements! Browse Nokian tyres here on Agrigear's website www.agrigear.ie.